A lifelong resident of the Kansas City area, Dr. Sharpe attended the University of Missouri for both his undergraduate and medical degrees. He completed his internship and residency at the University of Missouri-Columbia, followed by a sports medicine fellowship at the University of Missouri-Kansas City. 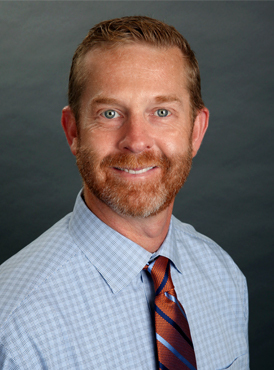 Dr. Sharpe joined Midwest Orthopaedics in 2003, and he sees patients at our Shawnee Mission office. He performs surgery at Shawnee Mission Medical Center and St. Luke’s South Hospital. He has served as team doctor in the past for several area high schools on both sides of the state line. Dr. Sharpe is board certified in orthopaedic surgery. He is a member of the American Academy of Orthopaedic Surgeons and American Orthopaedic Society for Sports Medicine and has been recognized as one of Kansas City's "Super Doctors" each year since 2009. He is married and has three children. Call Dr. Sharpe in Overland Park, Kansas, at (913) 362-8317 or request an appointment to get started.